Another interesting place I visited recently, if not one of the normal tourist attractions, was the NEWater visitor centre in the east not far from Changi. It is an educational centre and is the main focal point for the PUB (Public Utilities Board) education on NEWater. Singapore at present has 4 of these NEWater plants with Changi being the newest and another due to built there in the near future. NEWater is just as it says. 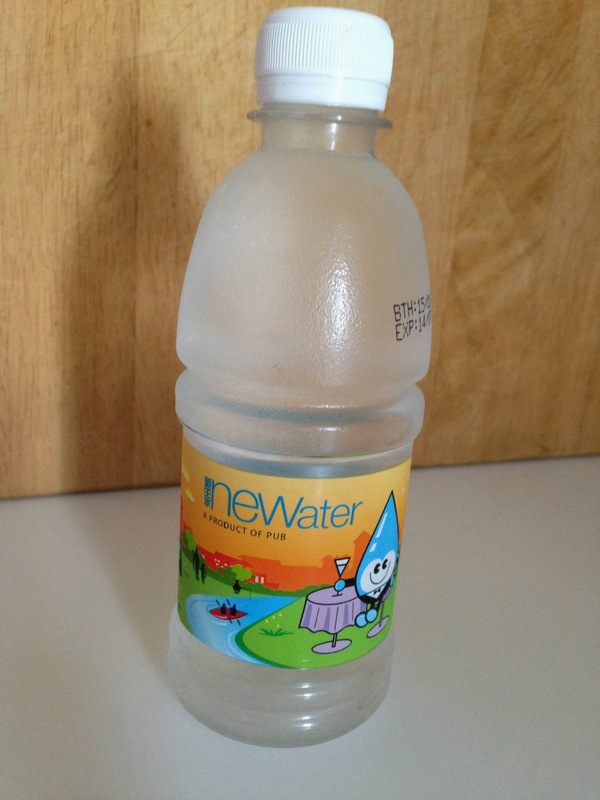 New water cleaned and made drinkable from already used water, yes people even that "used" water!! Although Singapore has an extremely high rainfall (although its currently going through its driest spell since 1869) there is very little space or places able to collect enough for the ever expanding population. Currently they import much from Malaysia and indeed have a contract to do so until 2060 when, Singapore intends to be fully self sufficient in supplying its own water, thanks in the main to NEWater. Now I'm no scientist and when people start explaining anything technical I tend to tune out and hear the test card playing (for those of you in the UK that remember that!!) How to explain very briefly - the used water is treated within 5 minutes of entering the plant through microfiltration, reverse osmosis and ultraviolet treatment. I am not going to try and explain this. If you're interested there is much info on the internet or pop along to the visitor centre as I did and it will be explained to you. For me its unbelievable that this water is cleaned and treated within just 5 minutes. Much of this NEWater is used for manufacturing, air conditioners but its completely safe to drink and indeed we were given bottles of drinking water. In fact it has gone through 30,000 scientific tests and passes the WHO (World Health Organisation) levels for safe drinking water. Much of the NEWater is in fact pumped back into the reservoirs to be mixed with the local catchment reserves. Singapore first tried to turn used water into NEWater as far back as 1974 but with most new technology costs where prohibitive and its wasn't completely reliable. However come 1998 costs had dropped and other countries had implemented the process and in May 2000 the first NEWater plant was finished. Singapore at presents collects it water from 4 places which they call their "4 Taps". The aim is by 2060 to be fully sufficient in water with excess. 2. Imports from Malaysia which will expire in 2061. 4. Desalinated water (sea water) the aim is by 2060 to provide 25% of Singapores water from desalination. I'm very pleased to see that Singapore is actively promoting water conservation in a heavily populated country like this. I do wonder how many of the residents know about this place? The mascot for this campaign is a "water drop" man called Water Wally. You will see him throughout the plant and is also on the labels of the bottled water. The NEWater centre provides free guided tours but these do need to be booked in advance.. It can be found at the end of Koh Sek Lim Rd just off of Upper Changi East Rd and just bus 2 stops from the MRT station at Tanah Merah.